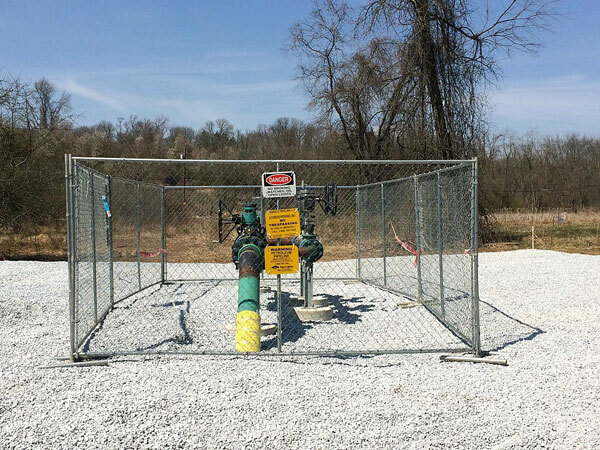 Residents and organizations across southern Pennsylvania have put aside political and ideological differences over serious shared concerns about the Mariner East pipeline project owned by Energy Transfer Partners. Topping the list of grievances are safety issues surrounding both the operation and the construction of the three pipelines. Caroline Hughes of Del-Chesco United for Pipeline Safety started advocating against the project when she learned that her son’s school is 100 feet from the pipeline. She counts at least 40 schools in the blast zone identified in a risk assessment sponsored by the Clean Air Council. Jim Scanlon, the superintendent of the West Chester Area School District, which has four buildings within 3,000 feet of the pipeline, said it’s been frustrating communicating with Sunoco, the prior project owner. “We still don’t have a clear communication plan from them, and we can do an awful lot in four or five minutes,” said Scanlon in an April 1, 2019 interview with Generocity. Even nonprofits that focus on pipelines have had serious misgivings about the Mariner lines. Lynda Farrell, the director of the Pipeline Safety Coalition, an impartial pipeline construction safety organization, turned down a 2015 request from Sunoco to assist them with community education because of serious safety concerns with the project. The original project called for Mariner 1, an existing pipeline built in 1923, to remain in service as Mariner 2 and Mariner 2X were developed. All three lines would carry propane, ethane, and butane, also known as hazardous volatile liquids (HVLs). HVLs are of particular concern to project opponents because they are highly flammable and colorless and odorless when exposed to air. During construction of Mariner 2, Sunoco faced legal challenges, along with sinkholes, multiple drill mud spills, hazardous material spills, vandalism, emergency shutdowns due to public safety risks, and a “pipe strike” by another utility contractor. The other contractor was given incorrect data about the depth and location of the new pipe by Sunoco. Opponents point out that the strike was close to a local elementary school and could have been catastrophic were the line in operation. Three different entities in Pennsylvania have conducted risk assessments of the pipeline—the Clean Air Council, Delaware County, and Pipeline Safety Coalition—and all have arrived at the same general conclusion that though the risk of leak and explosion is low, if it does occur, the potential for damage, death, and injury is significant.